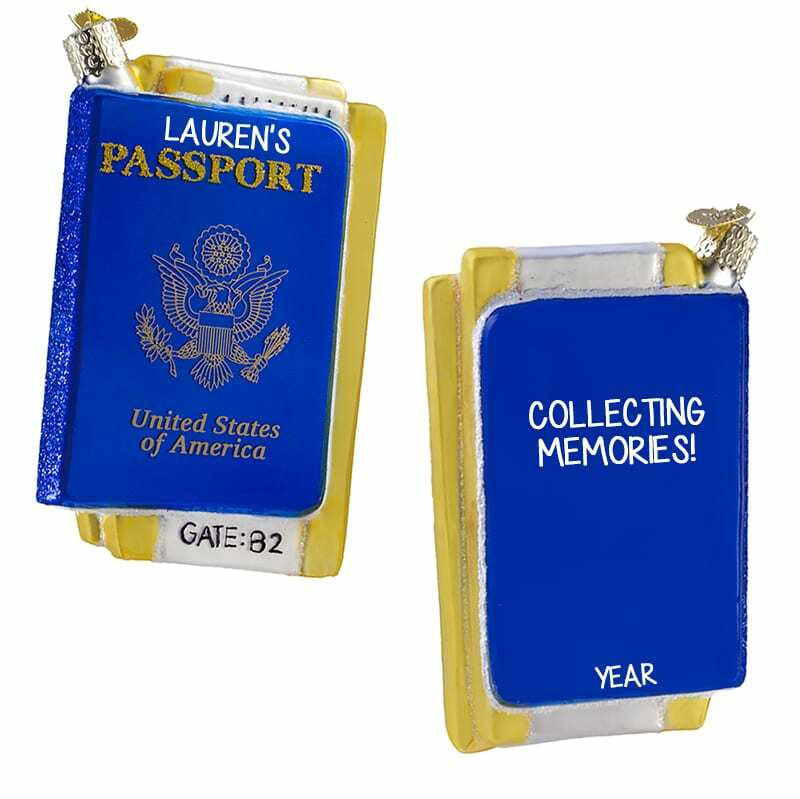 Celebrate an amazing time spent overseas with our Collecting Memories Glittered BLUE Glass Passport 2-Sided Ornament. Our 2-sided glass ornament includes glittered accents and can be personalized to include up to three destinations. This keepsake is the perfect way to commemorate this exciting adventure, so buy your ornament today!